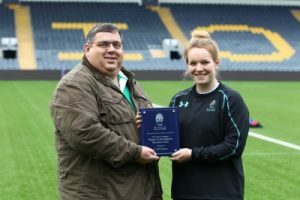 Worcester Valkyries forward Lark Davies has picked up November’s Worcestershire County Council Player of the Month award. Valkyries had a mixed November, with a Senior Cup win over Firwood Waterloo before falling to Saracens Women in the same competition. 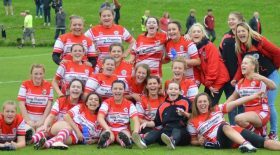 However they did enjoy a resounding 50-29 win over reigning champions Richmond Women in the Women’s Premiership at the end of the month. Davies, who enjoyed a fine month, was presented with the Player of the Month award by Councillor Richard Udall prior to the match with Saracens last Sunday. 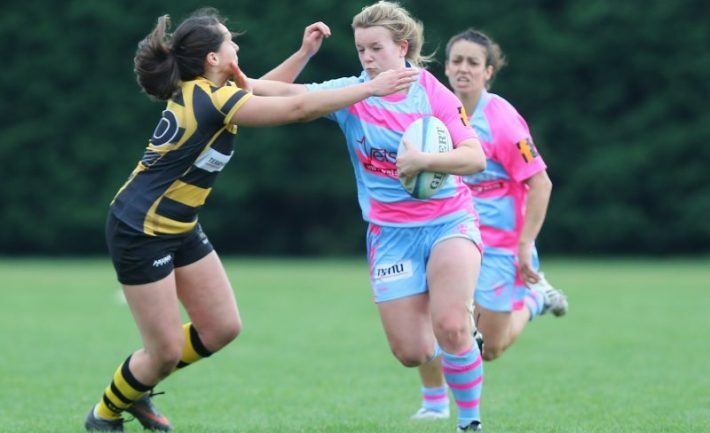 Valkyries Forwards Coach Dave Whiting said: “Lark has been returning from an injury picked up in the summer. “November’s been the month we have seen Lark continue her form from last season with consistency in the set-piece, some outstanding carries and becoming a leader on the pitch during the cup campaign. Davies added: “It’s an honour to receive the award. The squad had a really positive November and I’m really pleased with my individual performances too.